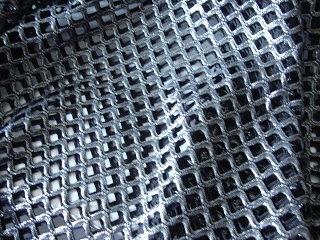 54″ wide Nylon metallic silver stretch mesh, very much a fashion statement. Lots of options from costumes, evening wear and fashion sewing. Great as trim, layer and mix with other fabrics.